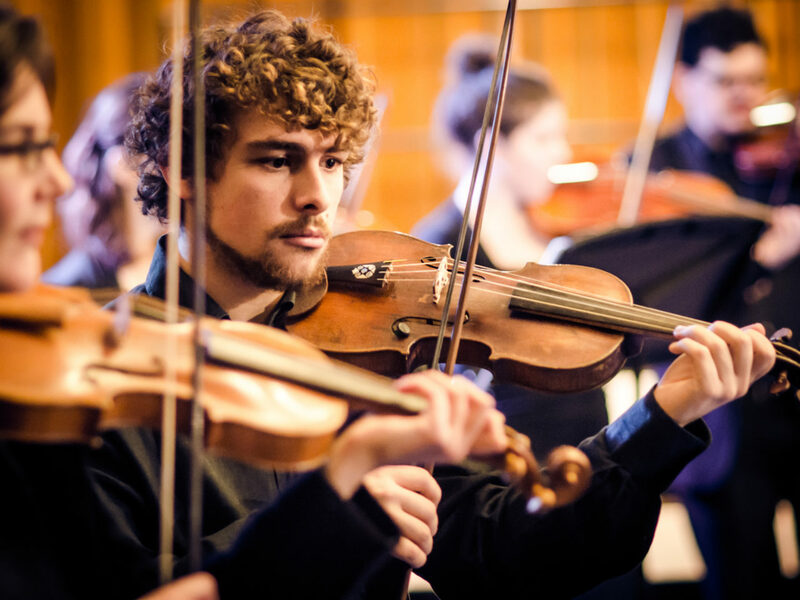 The first Punch Card Concert of the season will be performed by the Symphony Orchestra of the Royal Conservatoire and Codarts. The orchestra will be conducted by Ivan Hunt, a student in the Master in Orchestral Conducting at Codarts, and Tom Goff, a student in the National Master in Orchestral Conducting, two young conductors who had also conducted the orchestra during a public master class with maestro Valery Gergiev at the Gergiev Festival in Rotterdam. The programme includes three very different works composed by Prokofiev between 1915 and 1919. The First Violin Concerto starts and ends with a slow movement, with a Scherzo second movement. The later Scythian Suite was the first major orchestral work with which Prokofiev enjoyed success. Due to the success of the series in recent years, this season the Royal Conservatoire is organising its seventh series of afternoon concerts in combination with the Musical Punch Card. It is your chance to attend a series of marvellous concerts while at the same time saving for free admission to a concert by the Residentie Orkest. Your card will be punched as you enter the hall and when it has been punched four times you will be entitled to attend one of the concerts being given by the Residentie Orkest on Saturday 11, Saturday 25 or Sunday 26 May with a discount. For further details, see residentieorkest.nl. This is the first in the Punch Card Concert series. This concert is not part of the Punch Card Concert series.